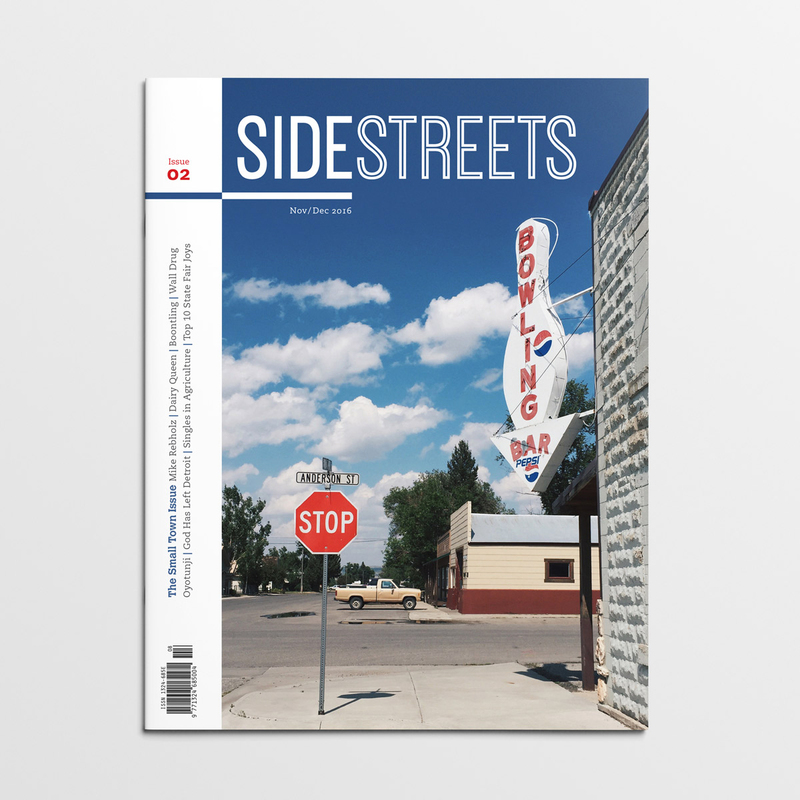 SideStreets is a magazine dedicated to bringing forward the common humanity of America’s people and culture. 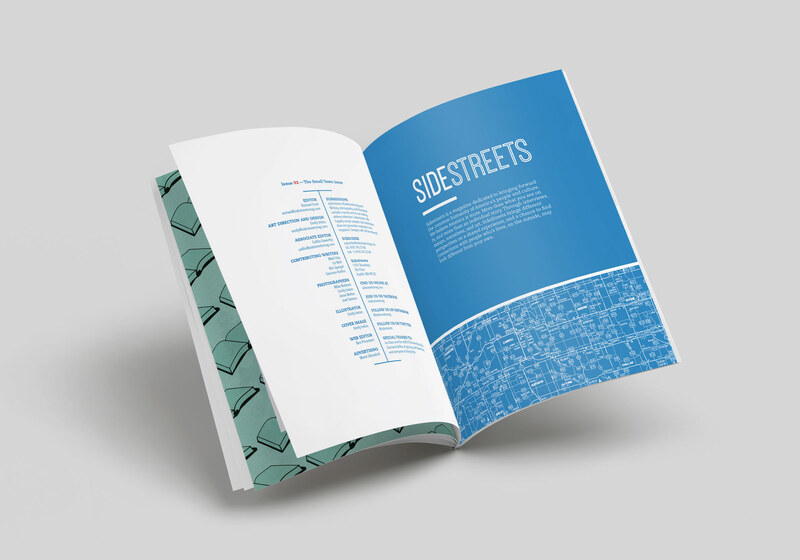 Through interviews, essays, and personal narratives, SideStreets explores universal themes through the eyes and experiences of unique individuals. Create an intelligent, entertaining magazine about America that highlights stories and subjects not found in mainstream publications. Allow readers a brief glimpse into the lives of fellow Americans, and the chance to find connections with people whose lives may look different from their own. 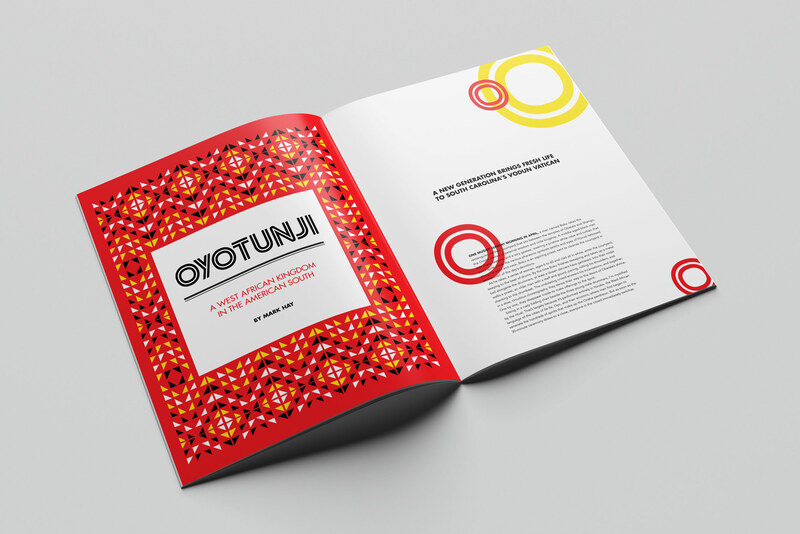 Bold imagery complements the written content to produce a magazine that is both visually and mentally stimulating. 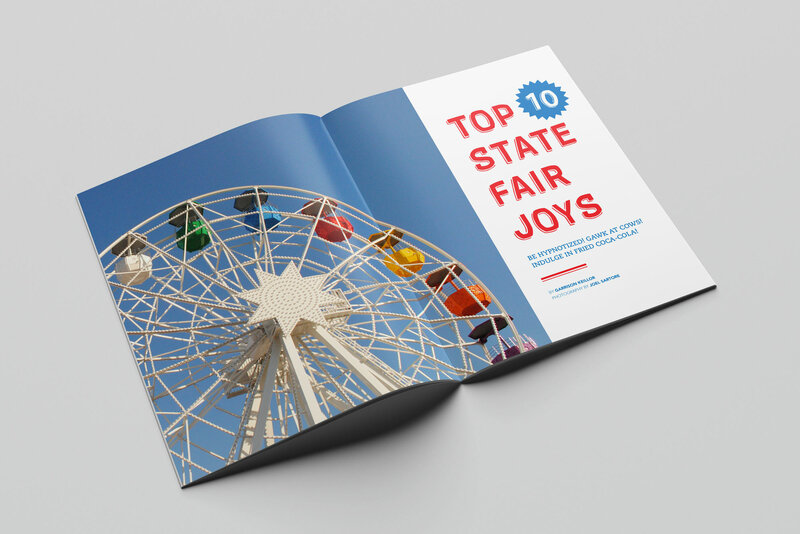 Unique title treatments are given to every article to emphasize the diversity of subject matter contained in each issue. Articles range from lighthearted to serious in subject matter and tone, keeping the magazine thought provoking, entertaining, and genuine. 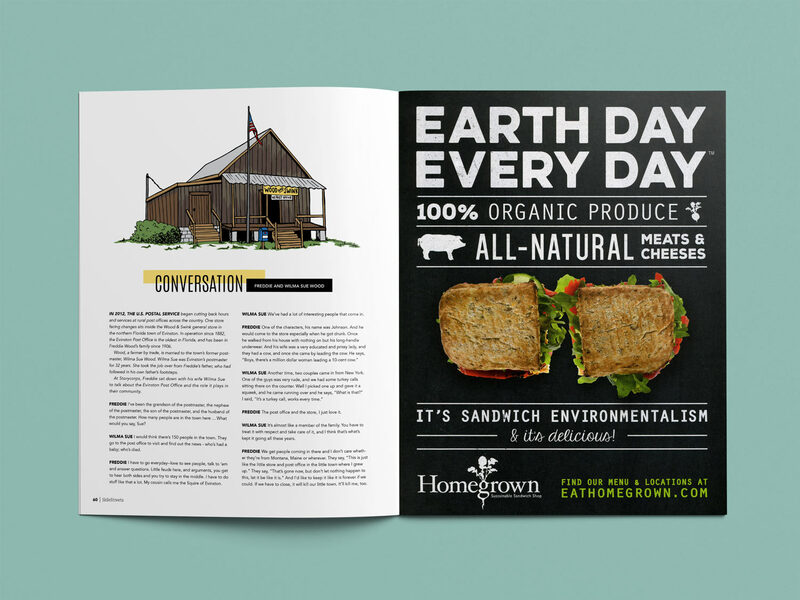 Each issue of SideStreets contains a section of regular articles including: Snapshot, Food for Thought, Local Jargon, Roadside Attraction, and Conversation. Both the regular and featured articles adhere to the theme in each issue. 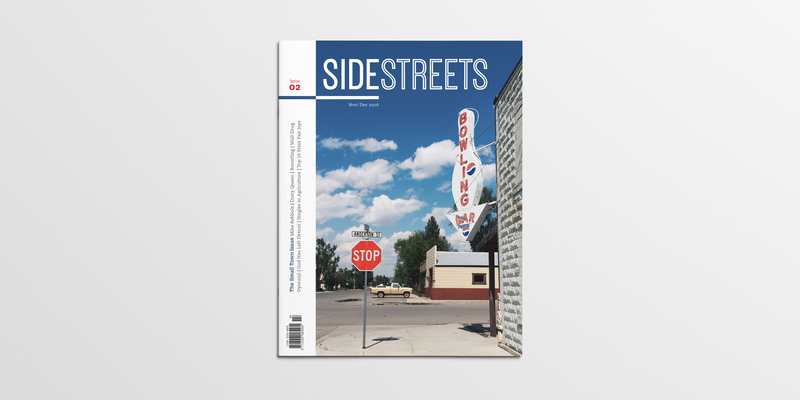 Issue 02 of SideStreets is The Small Town Issue. When curating the content, I looked for articles that fit within the theme, but fell outside of the normal stereotypes one associates with small town America. 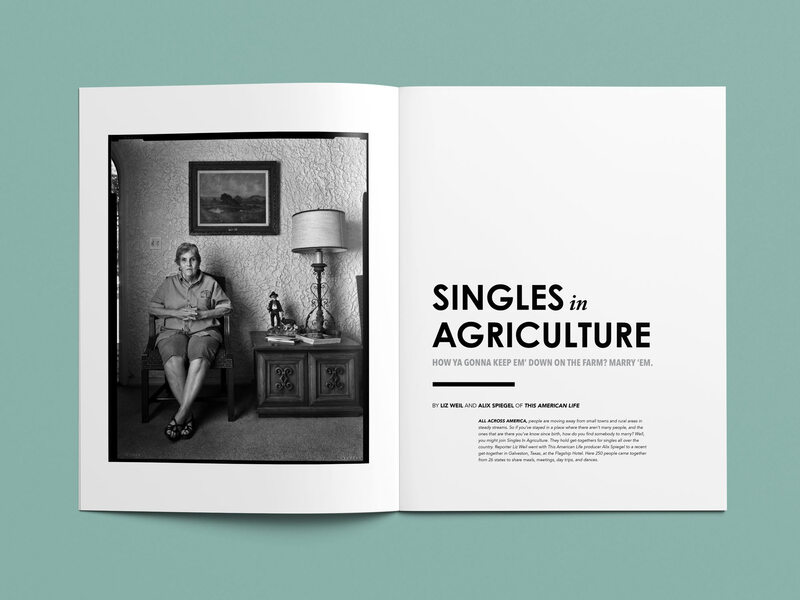 This issue brings you stories about a dating service for farmers living in isolated rural areas, an African American intentional community rooted in the traditions of the Yoruba culture, a small town in Northern California that has its own language, and more. SideStreets uses candid, documentary style photography to draw the reader in and make them feel as if they are there with the subject. 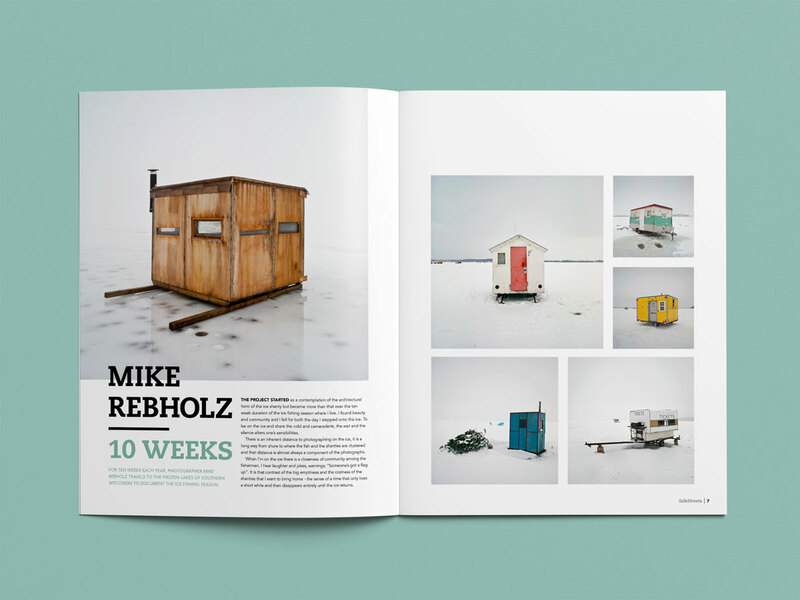 The rawness and intimacy of this photographic style helps the reader find connections with the people featured in the articles. 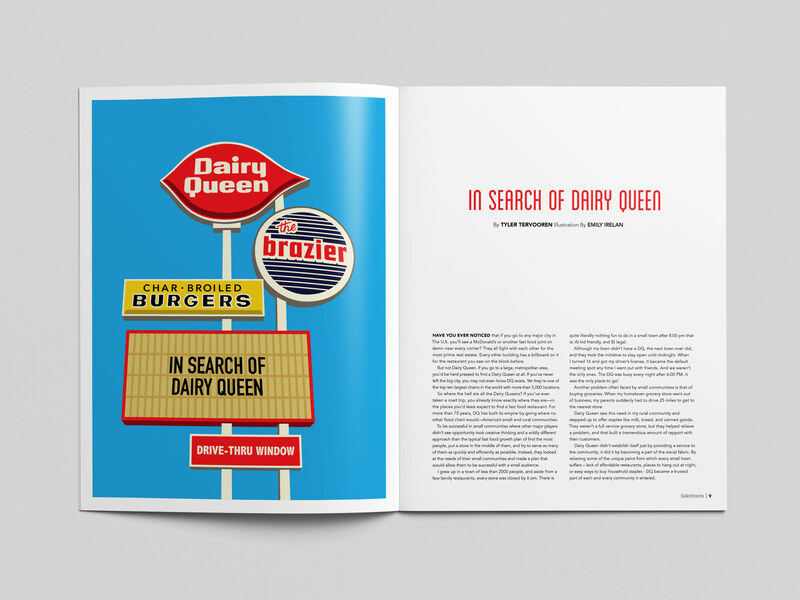 Illustration is interspersed throughout the magazine in place of photography to add character and diversity to the imagery. The illustrations are colorful and approachable, and balance out the sometimes heavy or serious content found elsewhere in the magazine. 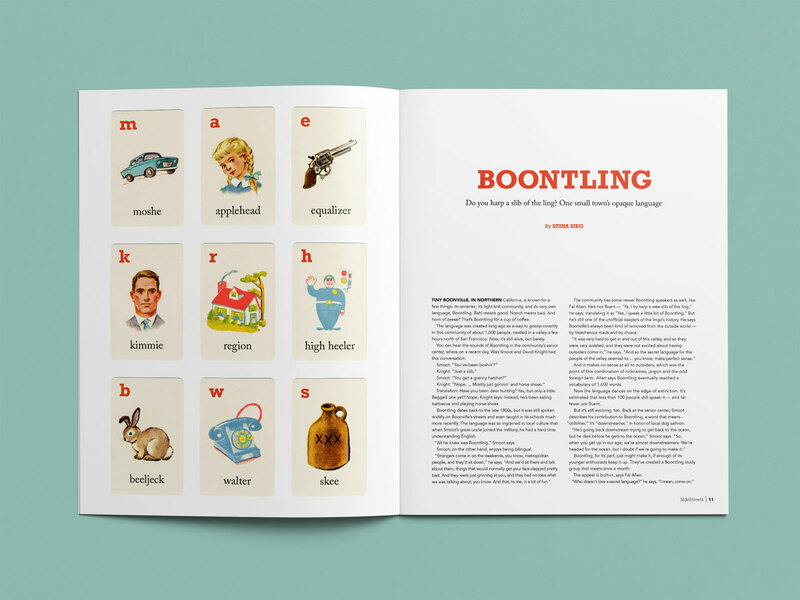 I did all of the illustrations in this issue except for the alphabet cards that accompany the Boontling article on page 10.